Even though autumn is technically still two weeks away, it one of my favorite times of year here on the east coast. The smell of the leaves, the spectrum of colors, and the impending arrival of winter! I'm hoping I can get it to come faster by writing about some of my favorite places around Philly to take in the fall colors on the trails. 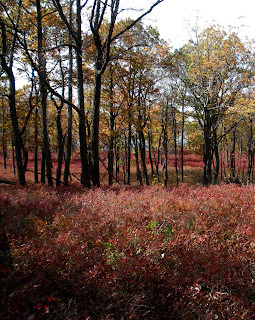 Each of these hikes are fun to do regardless of the season, but are particularly beautiful in autumn, and all are 100 miles or less from the city. They're in no particular order. 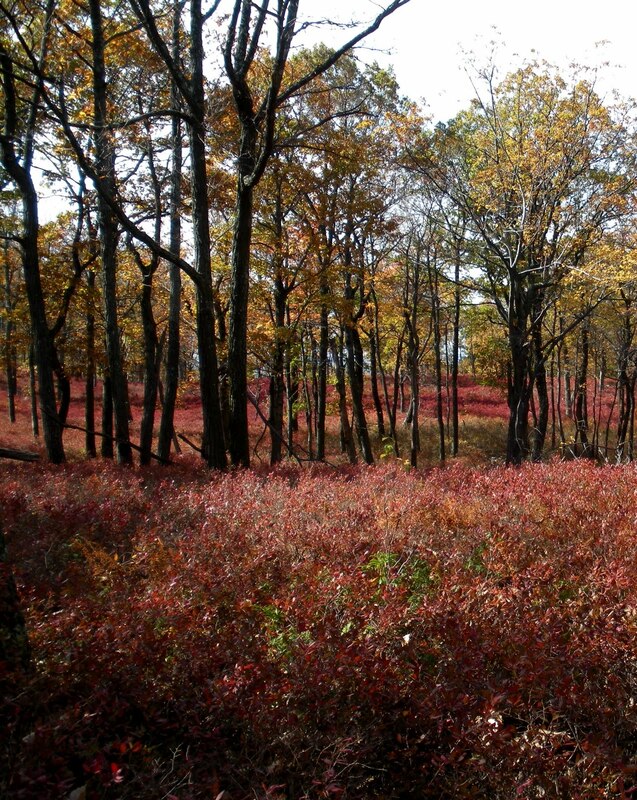 Enjoy, and leave your fall foliage experiences in the comments section! Photo by Paul H., Oct 2009. The moderately strenuous Pinnacle/Pulpit hike provides some of the area's most beautiful vistas. No matter the season, the trail will be enjoyable! From the Hamburg Reservoir parking lot, follow a gravel path to the white blazed Appalachian Trail. The trail meanders up to Pulpit Rock, then flattens and continues on for another two miles to the Pinnacle. A giant cairn marks the Pinnacle, and the nearby cliffs offer incredible views of the valley below. Backtrack from the vista to the cairn, keep right, and follow an abandoned road to descend. Finding the descent trail can be the trickiest part. The blue blazed trail passes a grassy area and turns left into the woods. At the intersection with the AT, turn right to retrace your steps back to the parking lot. Maps: the best I've found are on trails.com. 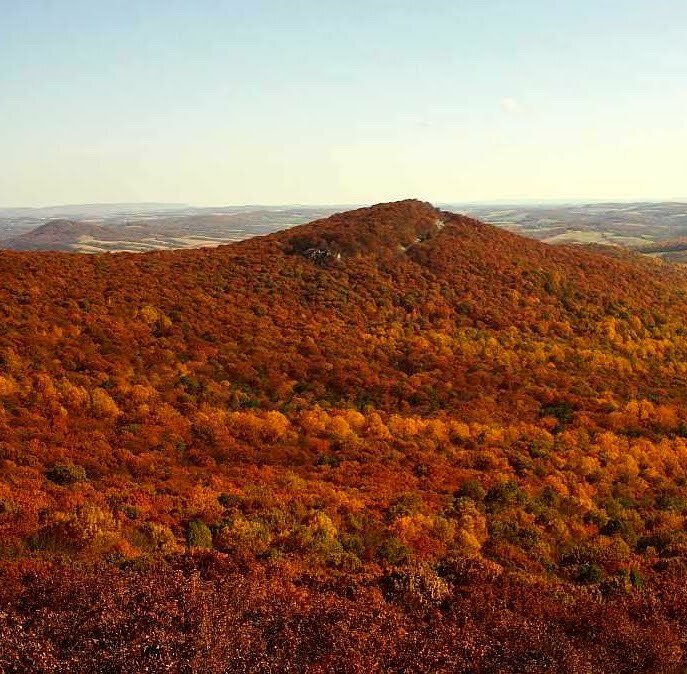 Right near the Pinnacle/Pulpit, Hawk Mountain is a perfect place for foliage and bird watching. Trails wind through woods, around literal rivers of rocks, and up the mountain itself to spectacular views of the Lehigh Valley. There are eight miles of trail options with some following paved areas and wide, sandy paths and others requiring hand-over-hand scrambling. If you arrive to find the parking lot full, don't despair; the majority of visitors stick to the easily accessible trails. My favorite loop combines a walk through the woods with the River of Rocks and the North Lookout. From the parking lot, follow the wide partially paved path to the sanctuary entrance, follow the trail up and turn right on to the red blazed River of Rocks trail. The trail can be difficult to keep track of; make sure to keep looking for blazes. After looping around the entire River of Rocks, ascend to the Skyline Trail via the Golden Eagle connector trail. This is where the real fun starts! The blue blazed Skyline trail is, in most places, a pile of boulders. Be careful here and take your time. I'd suggest changing plans if it's been raining; the rocks are slippery when wet. Continue along the ridge following blue blazes, and one final short, steep hand-over-hand section will bring you to the lookout. You'll likely find a crowd at the top, but remember, you took the fun way up! Descend via the Lookout Trail (yellow blazes) back to the visitors center. Maps: Hawk Mountain provides this map online and a printed one at the visitors center. More Information: The Hawk Mountain website has plenty of information for you before you go, and I definitely suggest looking through it. Take sturdy shoes for this one and be aware of the entrance fee, which helps the Sanctuary continue to operate. It's a bit higher in the fall ($7 instead of the normal $5). Located on the New Jersey side of the Delaware Water Gap, it's a perfect short day hike for beautiful views of the Delaware River. 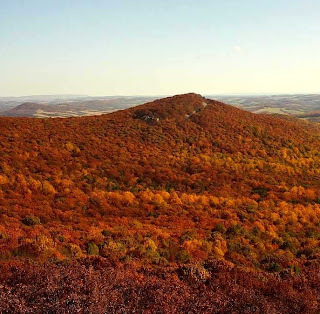 It's also a popular one with numerous other trails in the area, including the Appalachian Trail. Take the steep Red Dot (Tammany) Trail to the summit from the Dunnfield Parking Area, and enjoy views of Mt. Minsi across the Delaware. Lucky hikers might have the chance to see trains moving along the river below, and it's a perfect place for a lunch break. The Red and Blue Dot trails meet just past the top, and the Blue Dot Trail is best for the descent. It's much easier on the knees than completing the loop in the opposite direction. The Blue Dot Trail ends at beautiful Dunnfield Creek and joins the AT back to the parking lot. Changing leaves along the trail. Right across the Delaware River from Mt. Tammany, the Appalachian Trail passes through the town of Delaware Water Gap, PA and over the top of Mt. Minsi. Less popular than Mt. Tammany, but equally beautiful in autumn, it's a more leisurely way to get your fill of Water Gap fall foliage. 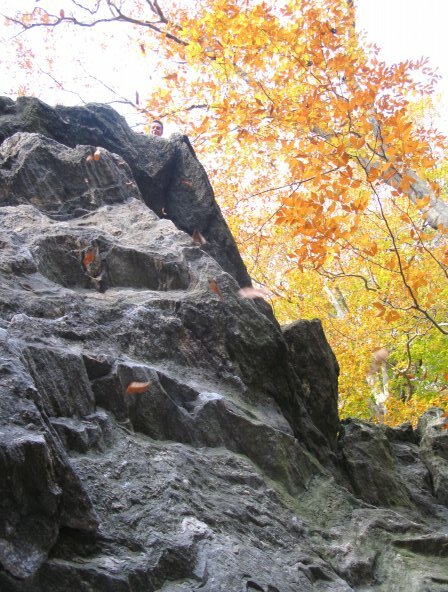 If rock climbing is more appealing to you, there's plenty of that as well. My preferred route follows the white blazed AT from the Lake Lenape parking lot. The trail crosses a wooden bridge and meanders through the woods at first, then ascends gently. Cross the wide Mt. Minsi fire road and continue to follow the AT to what's left of a fire tower, which marks the top. You can also shorten the hike here if need be by turning on to the fire road before summitting. Backtrack to the fire road and follow it back down to the parking lot to complete the loop. Livesy Rock area, Sept 2009. The Wissahickon is, in my humble opinion, the best part of Philadelphia's Fairmount Park and one of my favorite things about the city itself. Encompassing 1,400 acres of steep ravines and beautiful scenery, it's easy to forget the park is within the limits of our country's sixth largest city. When autumn comes, all of the gorge's deciduous trees turn shades of yellow, orange and red, dropping leaves into the Wissahickon Creek. Forbidden Drive, more of a gravel road than a trail, runs for just over five miles along the edge of the creek from the beautiful Valley Green in to a small parking lot on Lincoln Drive. 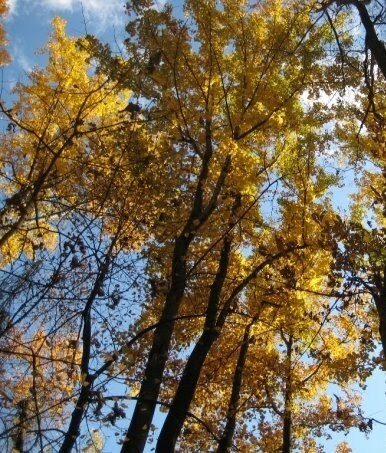 But hikers could spend all day wandering around in the park taking in the autumn leaves. I'd recommend purchasing a map to help guide you through the more than 50 miles of trails. Trail Length and Time: as long or as short as you'd like it to be! If you're a local area resident, what are some of your favorite area hikes? Anything I missed? 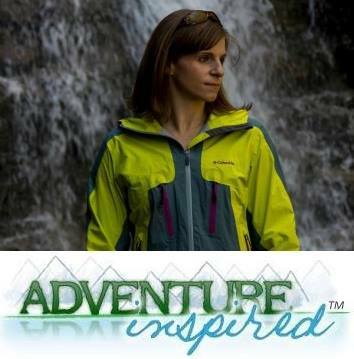 Great guide to Fall hiking Katie! Looking forward to doing all of these this fall.